As my following of this blog grows, and with less than 30 days until Primary Day here in New York City. I thought I would write an introduction about myself, and share why I have the passion and love for politics that I do. I will set the expectations of this blog moving forward and what are my goals for the coming year for the LGBT community on all issues in my mind. My name is Bryan Ellicott, and I am 24 years old. I live in the great city of New York. I do identify as Transgender (FTM) and bisexual. I have been involved in NYC politics for 3 years. Yes only three years ago…I decided to take my major in Political Science and Philosophy and to make it all real. I would make moves all over the political world in New York City, and I would establish myself as a force in the progressive movement of politics in New York City. I was born and raised in Staten Island, New York.. I went to public school and college in Staten Island. Now Staten Island is one of the most conservative boroughs in New York City. It’s the home of people like Andrew Lanza, Vincent Ignizo, James Oddo, Michael Cusick and Diane Savino. So I always wondered if, I was the only one who thought about the issues like Stop and Frisk, LGBT rights, the environment, bike lanes, and climate change. It wasn’t until I met people like Debi Rose and Matt Titone that I realized maybe I wasn’t too far off. I have a connection too this city that started at the age of three, because when I was three years old, my dad Lt. Brian John Ellicott would join EMS in the City of New York. It would be my first public service, because I would give up moments of my life that I couldn’t back. My Dad would has no option sometimes but miss those first days of school, school functions, highlight moments in my life. It would show me the struggle within agencies. The moment that would set my life as it is now in motion would be when my Dad passed away on November 26th 2007. I was 18 years old and I was not the man I am now. My Dad’s passing away from 9/11 related illness came at a time when I was trying to find myself, it flipped me upside for a really long time. I have made it my business to make sure that all of my personal diverse groups I identify with are represented across the board, I am the son of a 9/11 hero, I am transgender, I am bisexual, I am Irish, I am a Democrat, I am a Staten Islander…but more importantly I AM A PERSON. that is what I want to do here. Educate …Share and encourage a conversation. Councilmember Rosie Mendez has serviced the constituents of the 2nd City Council District since 2006. The district covers the Lower East Side, East Village, Gramercy Hill, Rosehill, Kips Bay and the Southern park of Murray. Before being a New York City Councilmember, Rosie Mendez was a tenant organizer in her community. She was a housing specialist at the Parodneck Foundation which “works with people to build better housing for better communities” this shows that even before her being elected to city council, Rosie was committed to helping those in public housing, and those who need affordable housing across the city. Rosie has done a lot of work making sure some of NYC’s important pieces of history and culture are preserved for future generations to enjoy. Some of those buildings landmarked included CHARAS/El Bohio, the Wheatworth Factory, Webster Hall, Elizabeth Home for Girls, Beth Hamedrash Synagogue and St. Stephen’s Church. Rose was there for her community after Hurricane Sandy, making sure that the people in her community had food and water if they could not leave their apartments to receive those needs. She made sure that services being given to her community and information on FEMA and SBA assistance was given. Rosie fights for her district in a number of different ways. She made sure $5 million dollars went to the 22 schools in her district. The social services and youth services in her district received 6.2 million. Cultural organizations in the district received 8.25 million dollars. An additional 7 million went toward libraries, parks, high education and housing for seniors and the disabled. Rosie has stood against Mike Bloomberg’s extension of term limits, the expansion of Columbia University, and the new Yankee Stadium. She is one of the four members of the LGBT caucus in the City Council. She has stood by her community in the fight for Marriage Equality and the string Hate Violence against the LGBT community over the years. She is endorsed by the Victory Fund and many other organizations and groups. Who will be New York City’s Next Watchdog? The office of the Public Advocate is one of the newest positions during a municipal election along side the offices The Mayor and Comptroller. If you are aware of New York Politics or have been voting since 1993 you could most likely name all the past Public Advocates all on your own. They have all been democrats. Mark Green was the first Public Advocate in 1994-2001, followed by Betsy Gotbaum (2002-2009) and most Bill de Blasio from 2010-the present. The job of the Public Advocate is that of a watchdog. It helps to ensure that all New Yorkers receive the City services they deserve and have a voice in policy with the government. They can also introduce and co sponsor legislation in City Council but don’t vote, if there is a tie (when does that happen) they may vote. This year during the other municipal elections in New York City the office of Public Advocate spot is open and while they’re four candidates running on the Democratic Party line. Two candidates stick out as the most qualified for the position. As I am a member of the Stonewall Democratic Club, earlier this year I made a decision on which I thought my club should endorse for Public Advocate and for me it wasn’t an easy one. I hold both of these candidates in the highest regard. Either way the City of New York would be a better place with Daniel Squadron or Letitia James as Public Advocate. Daniel Squadron is currently the New York State Senator of the 26th Senate District. As such Daniel has mediated between advocates and the administration to win an agreement to end the policy of charging rent to homeless families in city shelters. 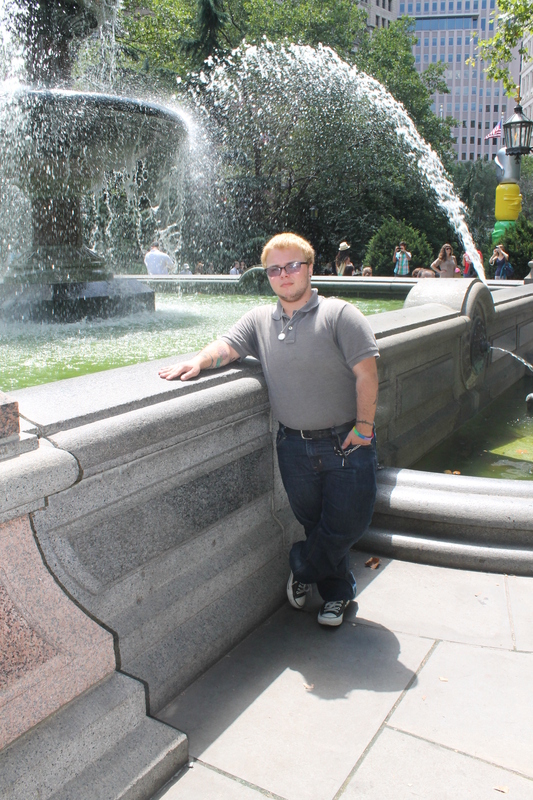 Daniel was the lead sponsor of the Gender Expression Non Discrimination Act (GENDA) he convened public forums that highlighted issues of the transgender community. He was met with opposition from the Republican and IDC members of the Senate. Daniel has been a great State Senator for the members of the 26th District and to the people of the City of New York and he has many ideas for his time during Public Advocate if he is elected. Daniel wants to fix the compliant intake function of the office, fix the power to ensure information, create relationships with external advocates. These make up all qualities he would bring to the table as Public Advocate. The other candidate most qualified candidates for this position. 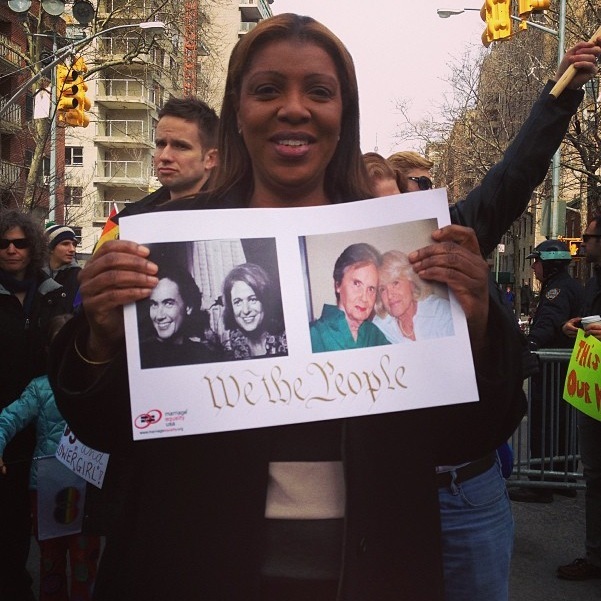 Letitia “TIsh” James has been a member of the New York City Council since 2003. Tish represents Brooklyn in the areas of Clinton Hill, Fort Greene and parts of Crown Heights, Prospect Heights, and Bedford Stuyvesant. She is the Chairperson on both the Committee on Economic Development and Sanitation and Solid Waste Management. She also sits on the Committee on Contracts and Small Business. Even since before her time in City Council, Tish James has been in a career of public service. She has the passion to fight for New Yorker’s middle class and working families. She has been at the four front of taking on unfair budget cuts and worked hard to pursue economic security for workers, also with the passing of the Safe Housing Act. Letitia has been a great straight ally for the LGBT community herself, talking about how she understand the need for civil rights being a women and a person of color herself. She has been known to come to rallies for the repeal of DADT (Don’t Ask Don’t Tell), send off of Edie Windsor for her case against the Supreme Court. It’s people like Daniel Squadron and Letitia James that spend their lives fights for those who don’t have a voice or those that get overstepped that make them each the perfect kind of person for the job of Public Advocate. Sadly we can only have one.